First of all, I want to thank Andye for giving me the opportunity to guest review here on Reading Teen. It’s my first time guest reviewing, and it has been so much fun! If you like my reviews, be sure to check out my blog, Pivot Book Reviews ! 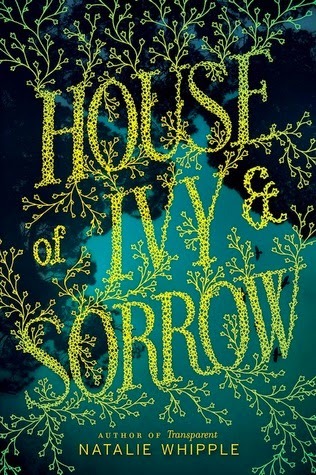 House of Ivy and Sorrow follows Josephine, a seventeen-year old girl who lives with her grandmother and also happens to be a witch, as she tries to keep her magical life hidden from her normal one, until the day the mysterious Curse that killed her mother returns. Wow. House of Ivy and Sorrow was even better than I expected it to be. I had heard from a few friends that it was a magical, pardon the pun, story, and they were so right. I have been dying to get my hands on a witch book that would live up to my expectations, and House of Ivy and Sorrow did that and more!! Jo is such a fun character. I instantly connected with her, and fell for her super swoony cowboy boyfriend, Winn. I need to get me a Winn, because he is something else! Jo’s best friends, Kat and Gwen, are the type of best friends I’ve always wanted to have, and her grandmother is hilarious. I never knew someone could enjoy pudding so much, and the fact that there were so many different flavors. Jo also has enemies around every corner, but unfortunately, she doesn’t know who is friend or foe. The Curse is a spell that leeches all magic from a witch’s body, and Jo and her grandmother are afraid it’s coming for them next. The spells they perform together felt so real, and weren’t difficult to understand at all like some stories I’ve read. Although they did contain a lot of blood, organs, and other bodily parts, so if you are squeamish, you might want to skip this one. All in all, House of Ivy and Sorrow was one of the best witch books I’ve ever read. I found myself staying up until the wee hours of the morning and grabbing this book every few seconds I could, because I needed to know what happened next ASAP! It was horrible when I got to the point where I couldn’t keep my eyes open any longer and had to put it down, but the storyline followed me into my dreams and is still stuck in my head after finishing it a few days ago. House of Ivy and Sorrow is a witch story done right, and I’m praying to Natalie Whipple to please, please, please write another book with all these amazing characters! I'm so glad that we both agree on this one! It was such a great read! I really wasn't expecting to LOVE it as much as I did! DO IT!! It's so worth it! Thanks for this! I've been really curious about this one, but haven't heard much about it. The cover is GORGEOUS! There really hasn't been much buzz about this one. It's one of those looked over books it seems, but a lot of my friends who have read it seem to agree that it's awesome! I'm curious to see what you think, Ange!